Download Twitter, Facebook, Instagram, Vine, Snapchat and many other popular Social Networking Apps. We have a larger Selection than Blackberry World. PicasaTool helps you to manage your Picasa web albums with simple yet powerful user interface designed specifically for Android powered smartphone. Display all Picasa Offical Featured Photos as thumbnails. Click the thumbnail to view HD quality photo. You can view the comments, save the photo to sdcard or set it as your wallpaper. You can also flip the enlarged photo to see next or previous one, or zoom in/out for more details. You can search google picasa public photos, and save your favorite queries. This is a highly customizable function provided, and for example, you can save queries for ‘wallpaper’, ‘megan fox” or “flower”. Display your picasa web albums. You can manage your albums, photos with the tool on your phone. Browse the comments to the photo, and add yours if you like. If you do any changes on your albums via picasasweb.google.com, all of those changes will be reflected on your phone. Get your favorite contacts’ latest uploaded photos on your device. You can add or view comments to the photos. Always keep in touch with your friends on Picasa! Browse your camera taken photos or other photos on sdcard. 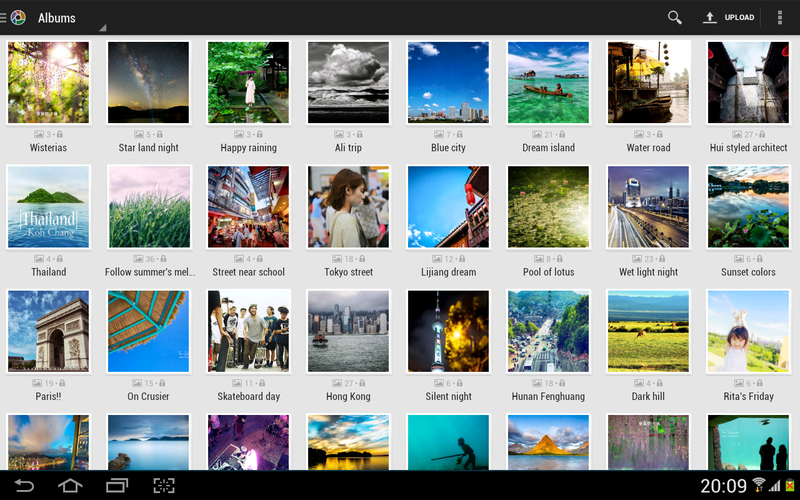 You can upload the photos to Google picasa web albums in batch. The tool provides multiple filter functions and will remeber the photos you already uploaded which is helpful to distinguish photos uploaded and new. ‘Picasa’ is a trademark of Google. 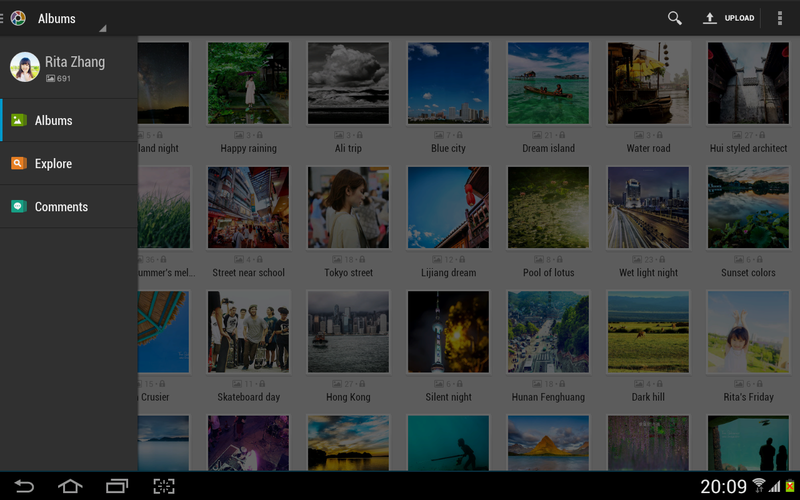 This app is an unofficial Picasa albums management tool from 3rd party.